Before the title: All-Russian Committee for the Salvation of the Motherland and the Revolution. Electronic version (2 files, 300 dpi, JPEG, 4.2 MB ). Text on one side of the sheet. Copy by users is not allowed. The text of the leaflet begins with the words: "The All-Russian Commission on Elections to the Constituent Assembly concluded that elections to the Constituent Assembly should be made everywhere , where free voting can be carried out ... ". 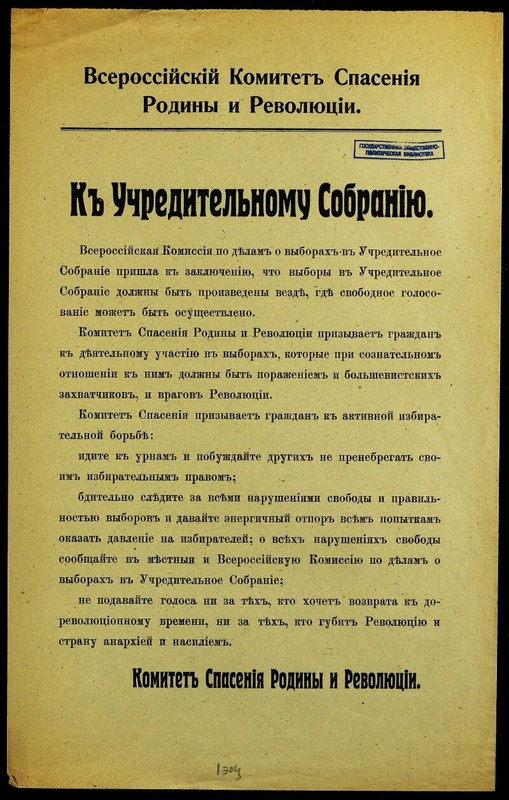 At the end of the text, the signature: All-Russian Committee for the Salvation of the Motherland and the Revolution . I. All-Russian Committee for the Salvation of the Motherland and the Revolution (Petrograd) .1. 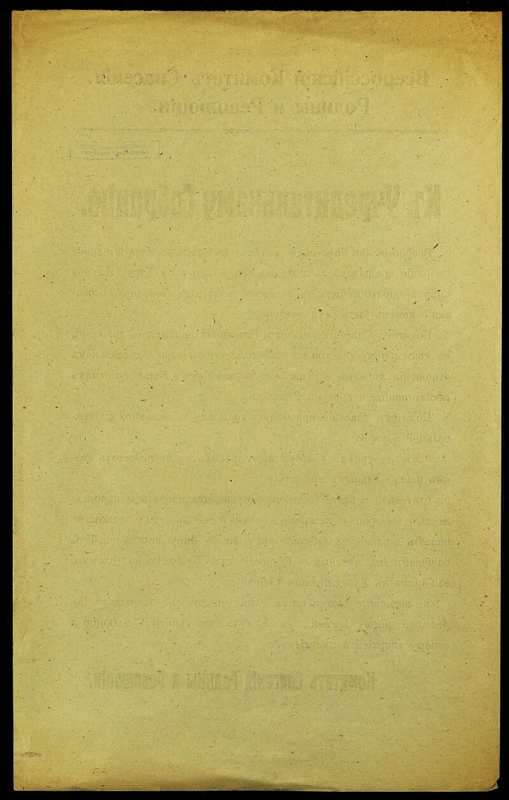 All-Russian Constituent Assembly (1918) - Elections - Leaflets. 2. The people (the collection). 3. Power (collection). 4. Electoral system in Russia: history and modernity (collection). 5. Russia - Politics and Management - 1917 - 1922 - Leaflets.